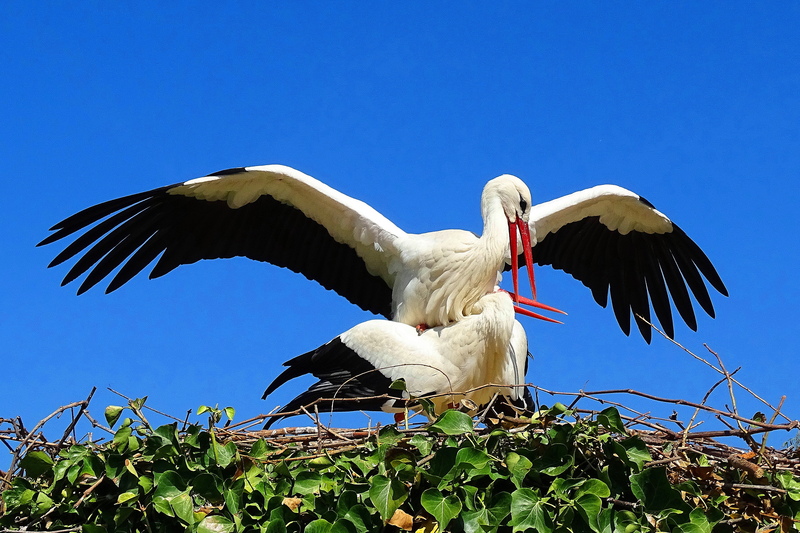 Pair of White Storks mating in Alsace France. (Click on photos to view full size). 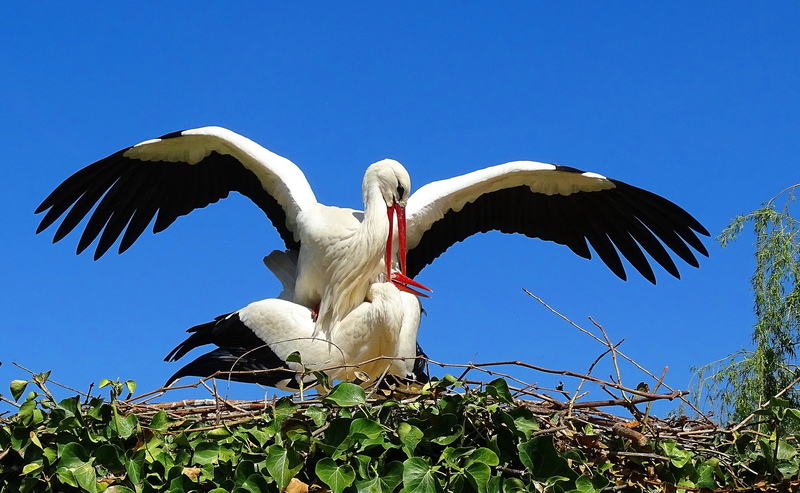 The White Stork is the beloved emblem of the Alsace region of France and appears in symbols and art everywhere in the region. 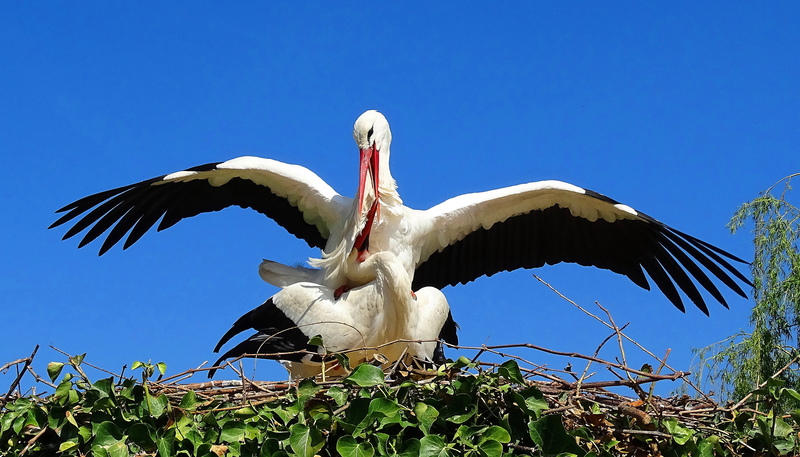 Yet, by mid-1970, there were only ten mating pairs of White Storks left in Alsace. 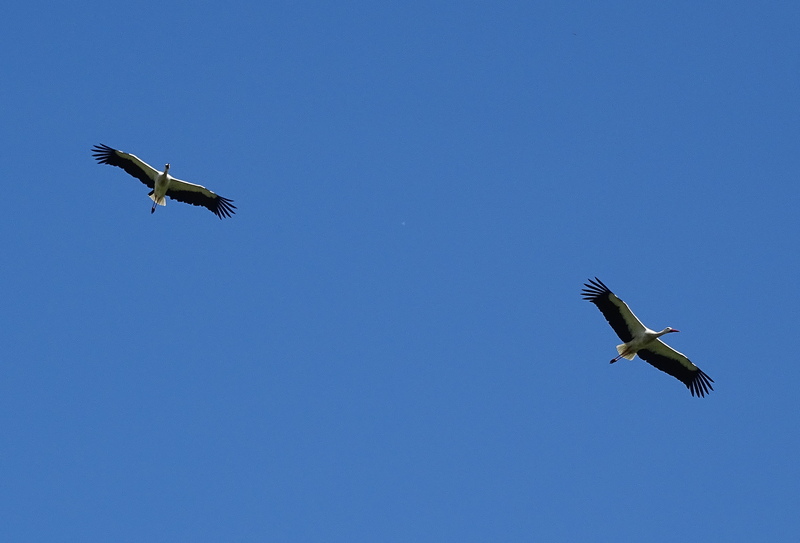 They were virtually extinct in this area, although thriving in other parts of the world. 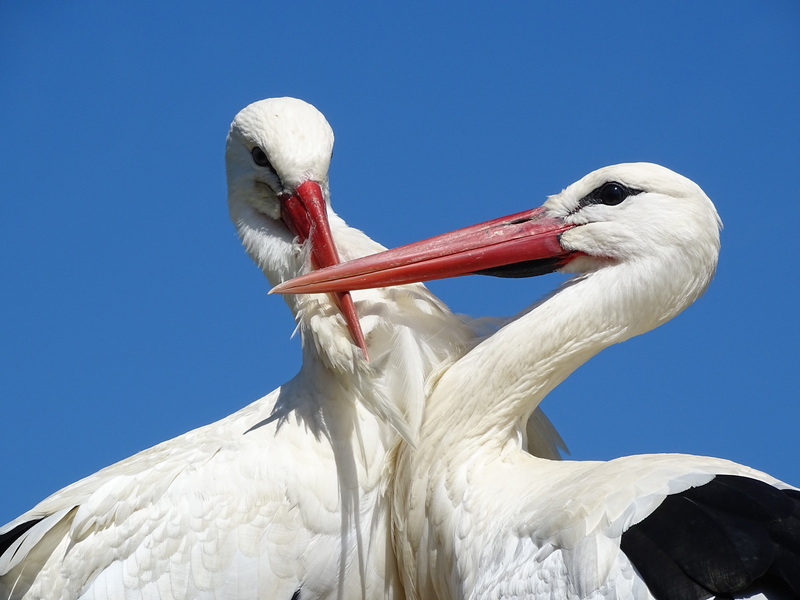 Today, due to local co-operative conservation efforts, there are now an estimated 600 mating pairs of White Storks in Alsace. 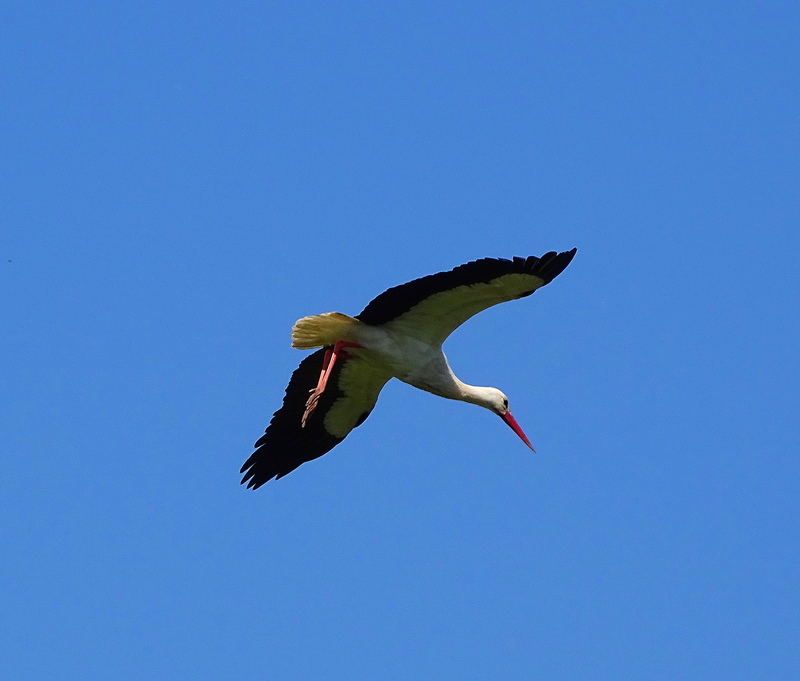 Stork populations were decimated mostly by power line electrocution and habitat destruction. 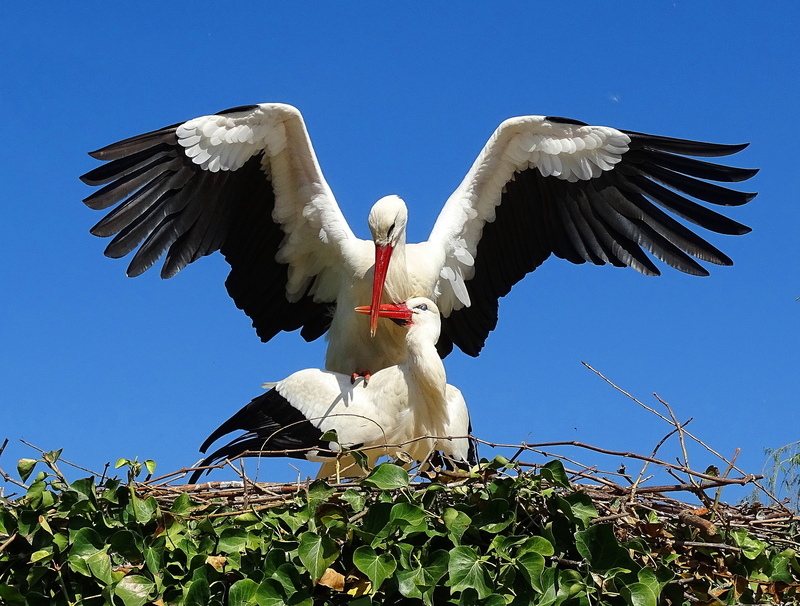 I was fortunate to see this pair in the process of mating and nest-building. 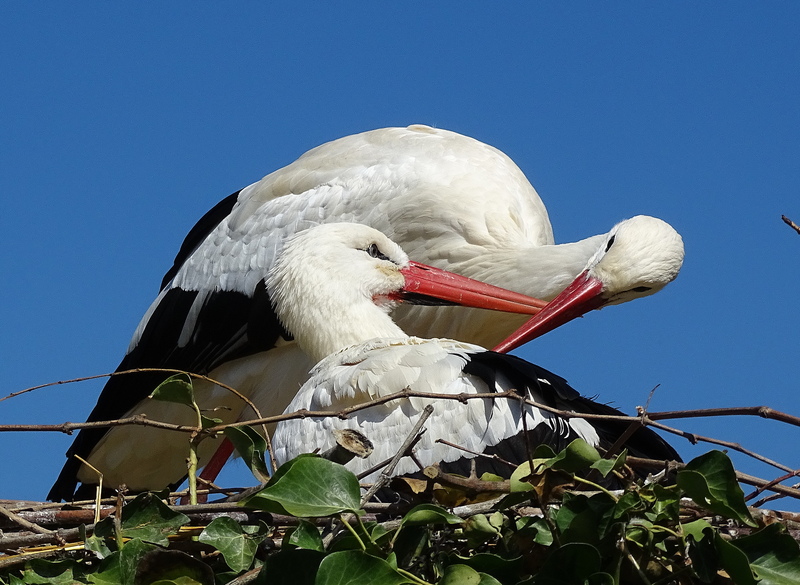 When we returned to our apartment after a day of stork watching, I photographed a pair of local falcon’s mating on a nearby balcony. It is springtime in France after all! Vive La France! 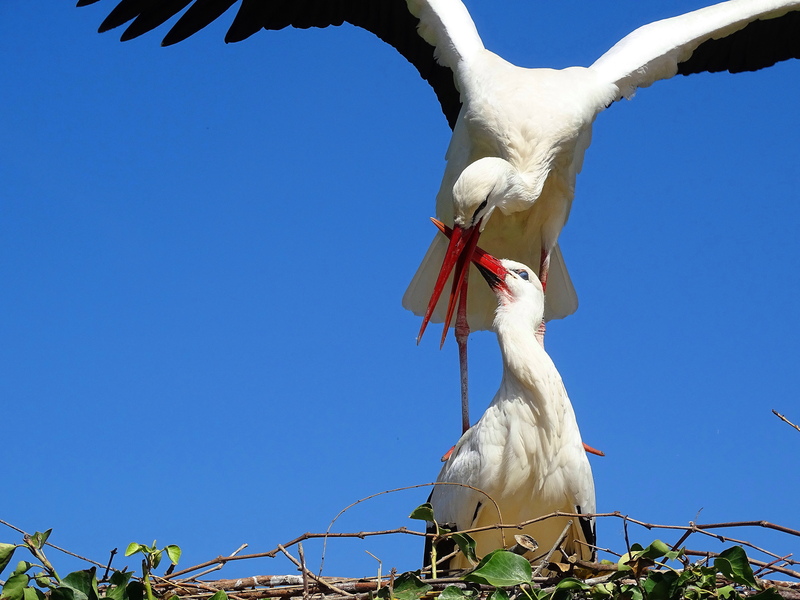 White Storks mate for life, and return to the same nests each year. Great news! I saw a few too in Germany. They are such majestic creatures. Their presence enhances everything! 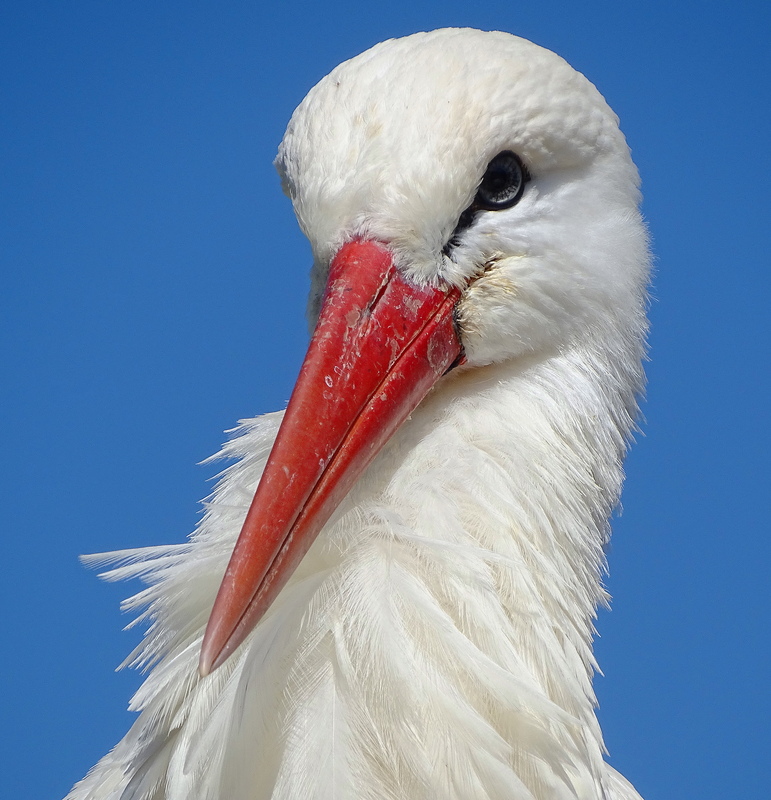 I saw your post. Beautiful!